Of course, the only male character in this assortment (other than the Collect & Connect figure) is Steve Trevor, played in the movie by actor Chris Pine. Right off the bat, I have to say that this is a fairly bland-looking character. Trevor is meant to be a soldier and a spy, and this particular outfit doesn’t really convey any of those activities. In fact, all he needs is a dog to go shoot quail in the meadows near Downton Abbey. The sculpting itself is actually pretty decent and nicely detailed, although the face doesn’t quite resemble the actor, mostly because the forehead seems to be not quite the right size. 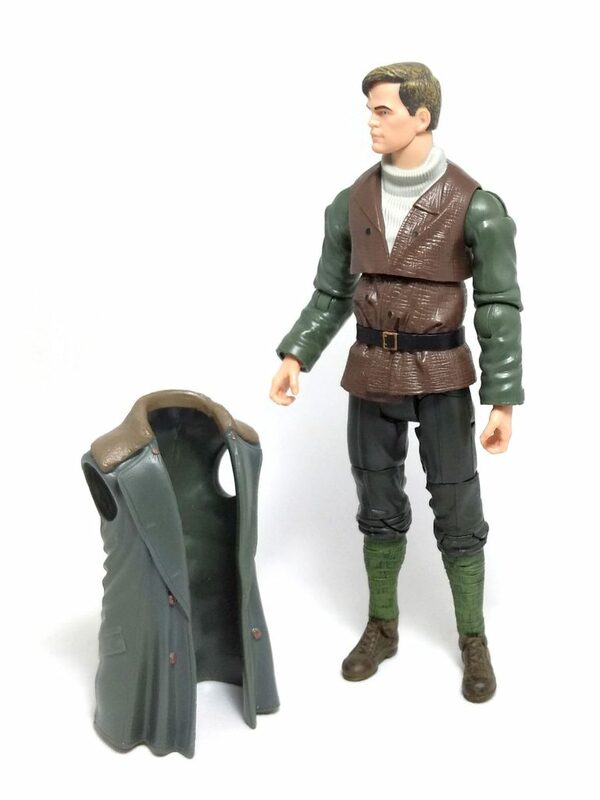 The torso of the coat is a removable vest piece made from flexible plastic. Essentially, Steve lacks the upper biceps and waist swivels but the elbow and torso joints substitute their function respectively. For the most part, the articulation is well integrated into the character design, even if this does limit somewhat the range of movement for more dynamic poses. 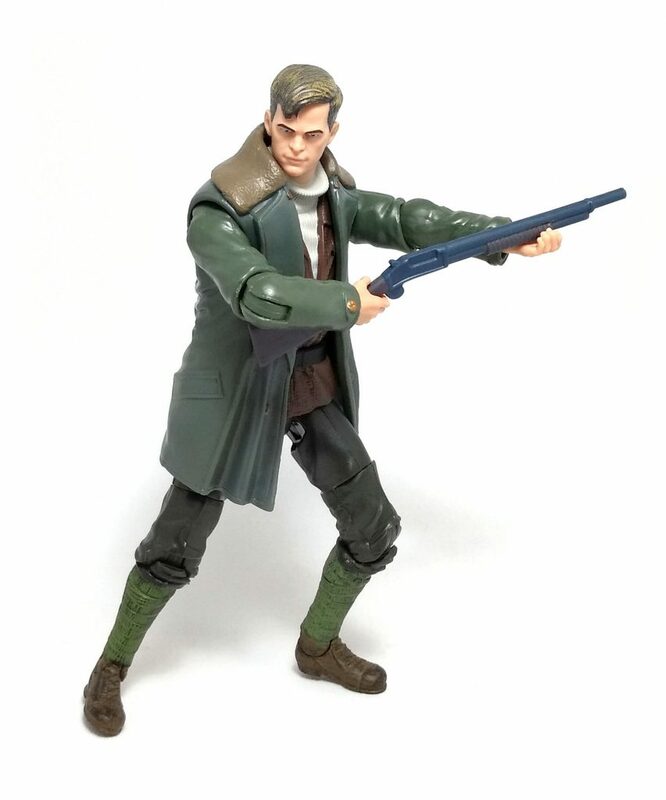 The paintjob on Steve Trevor is minimal, most of the figure being molded in the final plastic color, but what little paint there is, is neatly applied. 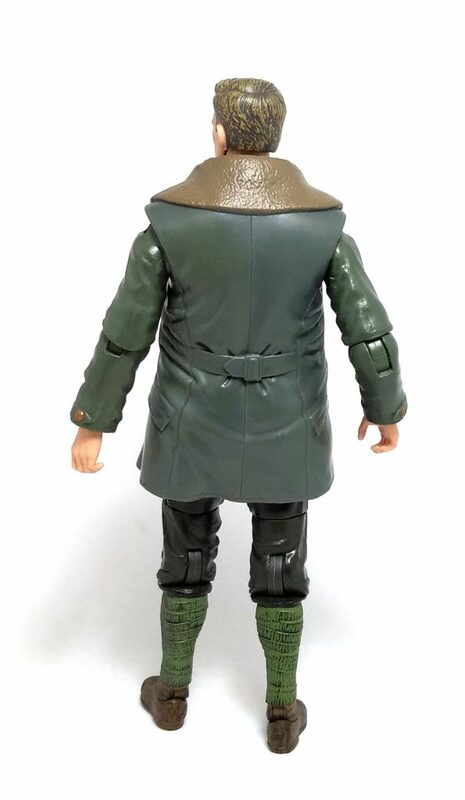 The buttons on the coat are painted in a brassy hue, and even the lower leg wrappings and shoes have a nice, dirty wash on them. 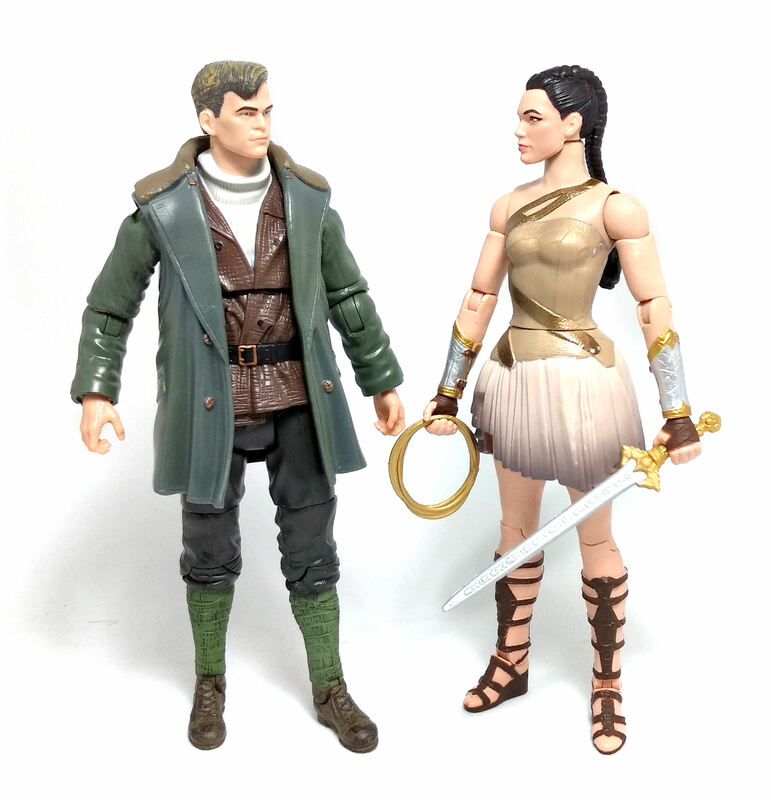 In terms of accessories, Steve Trevor comes with the least and the most in this series. On one hand, his only weapon is a nondescript, gray shotgun. 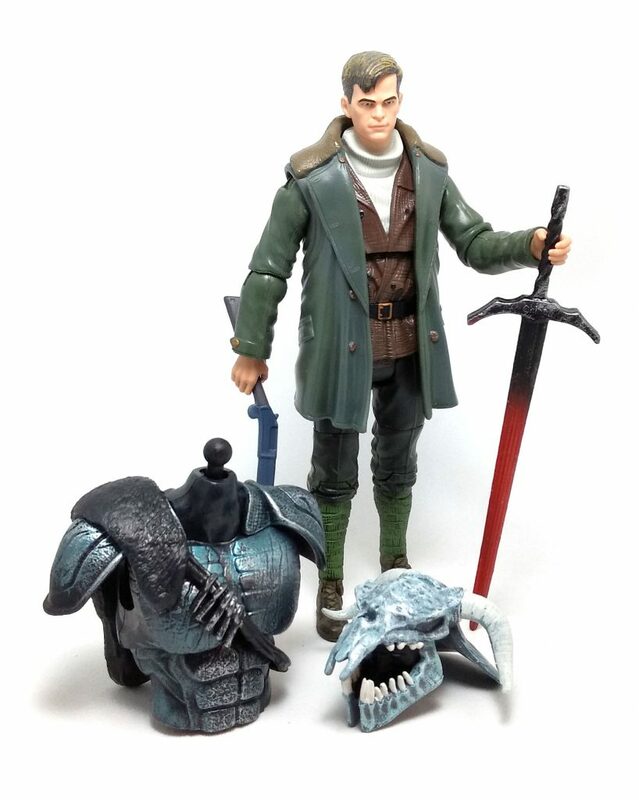 On the other, he also comes with the head and torso of Ares, as well as his gigantic sword, thus making this Steve Trevor action figure a must-buy if one intends to complete the bonus figure. 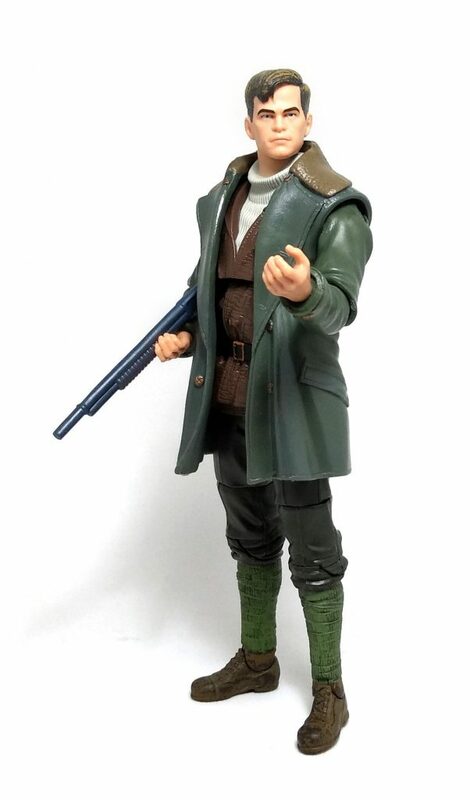 Even though Steve Trevor is a fairly boring character, the action figure is still a decent addition to a Regular People collection.